We welcome your thoughts, suggestions, and questions. 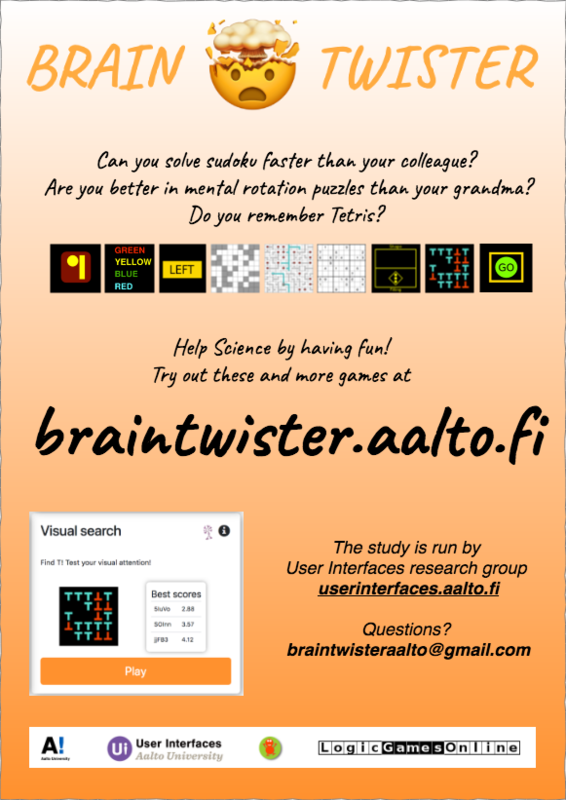 You can leave us feedback via the “Contact us!” form or by email to braintwisteraalto@gmail.com. This study is conducted by the User Interfaces research group at Aalto University, and funded by the European Research Council. The professor in charge is Antti Oulasvirta.